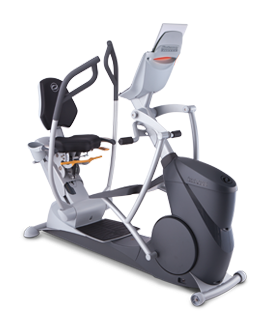 What sets the xRide recumbent elliptical apart from other seated machines is Octane’s 16″ PowerStroke technology. PowerStroke facilitates optimal leg extension and power drive for more muscle engagement. University studies show that xRide users have 343% more activity in their glutes and burn 23% more calories than recumbent bike riders at the same exertion level. Bottom line: better results overall. For optimal comfort on the xRide, Octane designed the Active Seat Position, which adjusts the seat’s height and tilt to custom-fit every size user and open up the hips for maximum engagement. 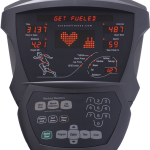 Users are ideally positioned to fully take advantage of PowerStroke technology and perform muscular endurance training. 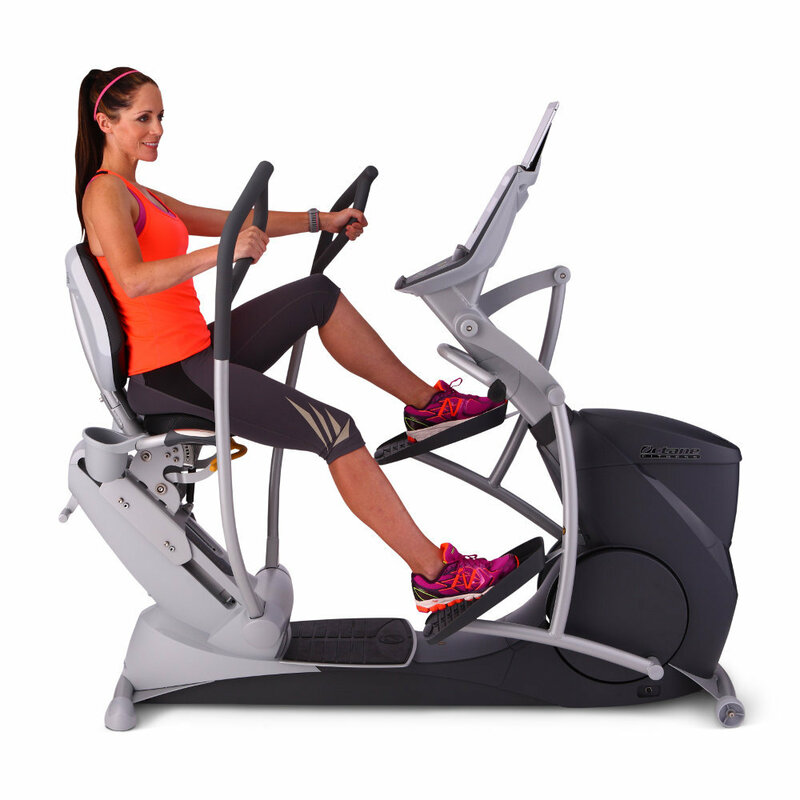 Now exercisers don’t have to fit the machine – the xRide adjusts to each individual’s body. 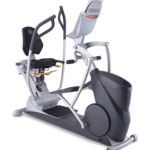 Another huge advantage of the xRide recumbent elliptical is that it works the entire body – unlike recumbent bikes, steppers, treadmills and upper-body ergometers. Using the arms and legs together yields a higher caloric expenditure and greater conditioning. And on the xRide, you can move forward and backward for more variety. Why work only one-half of the body when you can double your results with the xRide? 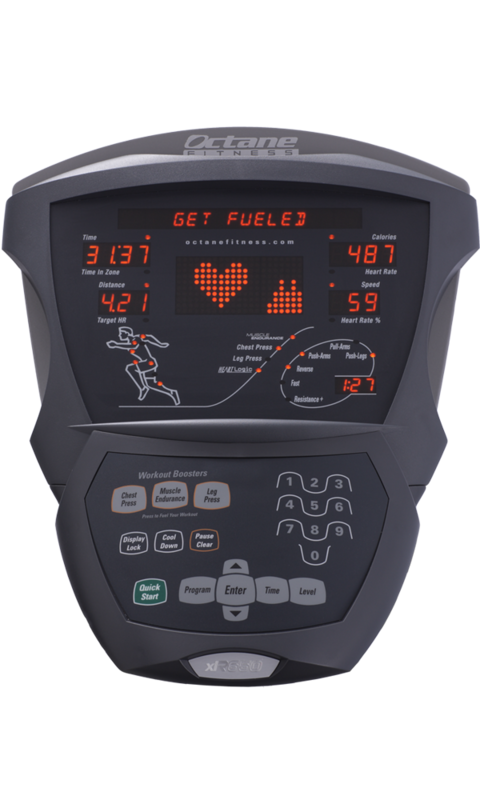 Octane’s trademark Workout Boosters, including X-Mode, GluteKicker and ArmBlaster, add cross training with various commands every few minutes to keep the heart pumping and muscles pushing. These add variety, motivation and productive intervals. And greater intensity leads to better results and efficient, effective workouts that keep members coming back again and again.